In the PUBG Mobile stimulating battlefield, relatively speaking, it is less difficult for a single person to score points than to score points. Perhaps many of my friends have not yet realized that, let’s talk with you about the novice player’s single point scoring skills. As the saying goes, the skills are more than the pressure, I believe that understanding the following content, everyone’s single row level will have a texture upgrade. Compared to the four-person model, the single player mode is less difficult, but it also tests the player’s personal awareness and operation. Because the four-man model can only knock down the enemy, teammates can help each other. If two teams encounter each other, the average battle duration will be longer. The single person is eliminated from the bottom of the blood. There will not be too many variables. Therefore, choosing the skydiving point is not so particular. Here are some recommended points and insecure points. Recommended skydiving points: military bases, air-raid shelters, prisons, houses, school condominiums, G town, G East Port of Hong Kong, etc. The above mentioned areas are very fertile for single persons, especially military bases. 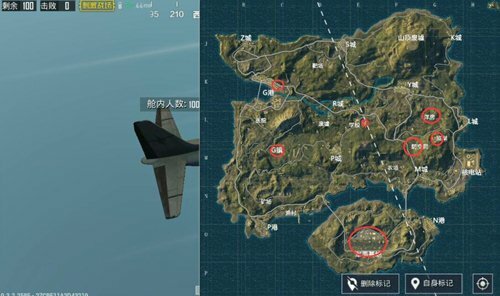 In many players’ perceptions, military bases are “ non-places ” , and it is believed that there are many people who will be at the airport in case of frequent routes. Non-also In the single player mode, about ten players may appear at the airport. The rest are generally man-machine. If you have a mind-to-do attitude, you can choose the warehouse and study area in the military base. C The terrain is slightly complicated and it is not recommended for novices. It is easy for the towers to set fire without the marksmanship of C . Other similar air-raid shelters and bungalows do not appear to be human. One or two occasions will depend on how you shoot. Although these points are not large-scale advanced resource areas, it is more than enough to feed the players themselves. Points that must not be jumped under the route: G Port Container Zone, P City, school, Y city. It must be said that everybody knows that military bases are indiscriminate and that everybody is wrong. To say that the land of chaos is the city of P . P The city is densely populated and located in the center of the map, where many single-seat players will settle. And the houses are vertical and horizontal and the terrain is complex. If you choose this point, you will easily encounter multiple fire attacks. Therefore try to avoid choosing where to stay here. In addition, schools have always been steel gun players like to point, and there are Y cities, but because they are located on the edge, the relative number is P The city is less, but more houses and high-rise buildings are more vulnerable to multiple attacks. The single player mode can choose to take the lead in the center of the safe area, choose the high point or enter the room area card, waiting for the enemies or passing enemies. For both, the high point is even more dangerous. After all, it is very easy to attract other enemies in the mountainous region where the commanding heights are located. If the marksmanship is not confident, it is better to choose a house. There is also an emphasis on choosing a house. If possible, consider entering a house with at least two floors. The cottage can basically give up, the difference in vision is not said, it is difficult to defend by opponents storm. If you have a high-rise house, you need to pay attention to whether or not there are mountains around the house. If there are mountains, you need to pay attention to whether there are enemies on the roof or on the second floor. Many card house players will be shot down by their opponent’s sniper rifle because they ignore the high point. The single-player mode is not teamwork, everything depends on oneself. 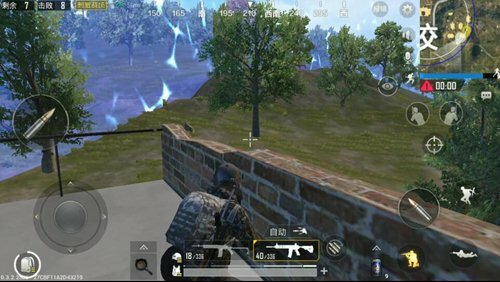 At this point, if you jump in the circle and look for the enemy, you will become the activation target of other opponents. Therefore, it is recommended that players select a high-risk poisonous edge area, and also pay attention to the surrounding vegetation. If you meet the conditions, you can do it on the spot and make a Voldemort . The timing of shooting must also be taken into account. If there are more than three enemies, try not to shoot and avoid exposing them unless your opponent runs to your face. Let the opponent hit first, then make up for the higher nouns with their own skills, and make good use of time to make up for the last bloody enemy and eat chicken. The above is a personal, single-row experience shared. In fact, the single most important person to conceal himself, to get enough supplies in the early stages, and then more to observe the position of the donut, choose a reasonable location, a safe side card, the top ten is also extremely easy to score. 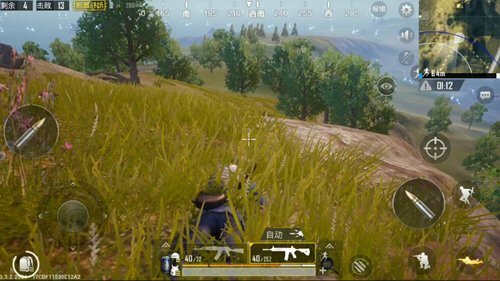 PUBG Mobile guide Lying Chicken Cheats: How does PUBG Mobile stimulate the first person in the battlefield?